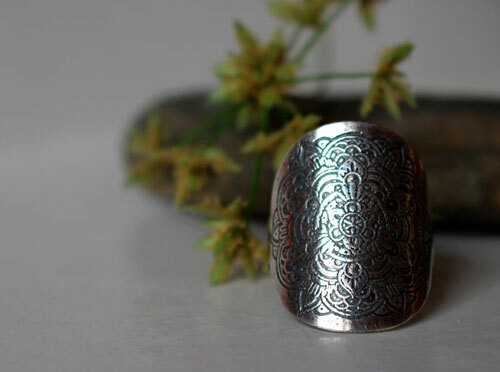 Anoki is a sterling silver ring engraved with a flower mandala. 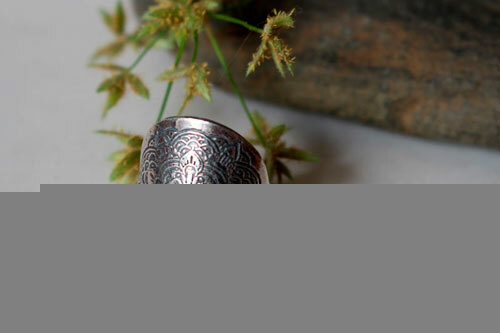 The Anoki name means different in Indian language. 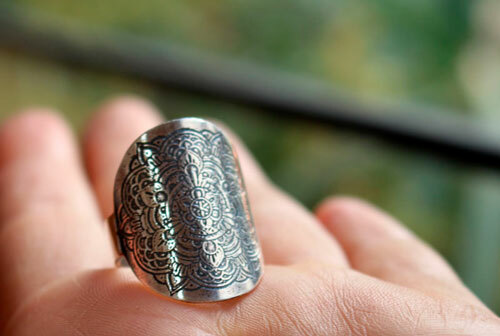 It is a shield ring that covers the upper part of your phalanx. 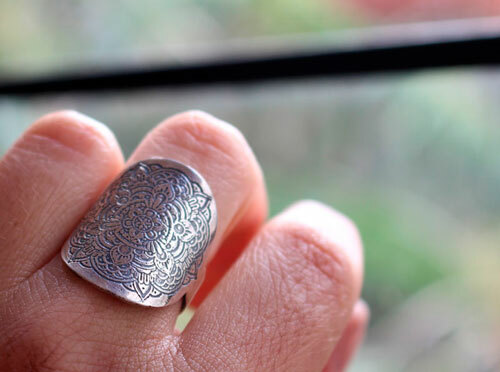 The lower band is about 6mm but the shield is about 2.5cm. 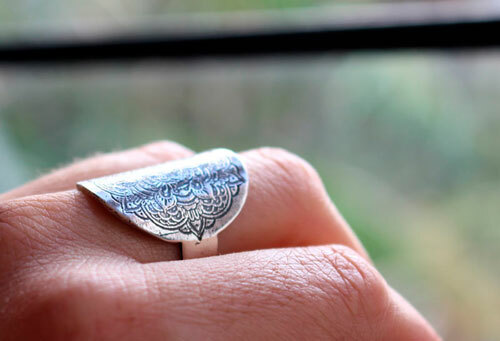 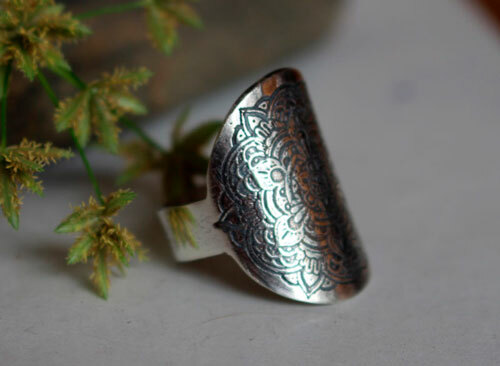 Tag: ring, sterling silver, mandala, flower, bohemian, hippie, gypsy, boho, shield ring, engraving, etched ring, round ring, signet ring, gift, jewel, woman, birthday, promise ring, Zen ring, meditation ring.